We will serve no vine before it’s time. A grapevine wreath with an egg within reach. 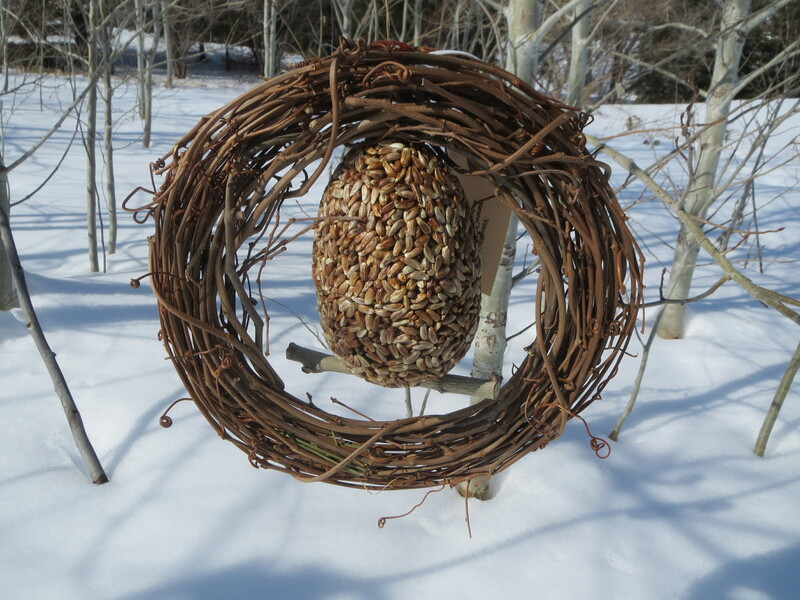 The birds love my Vine Dining feeder and so do I. It’s a beautiful, practical work of art and a reminder that animals and nature bring such a sense of peace. I smile each time this catches my eye in my city backyard. I so enjoyed hearing Jules and Rick’s story of how they gather the materials for these. They’re truly a labor of love. 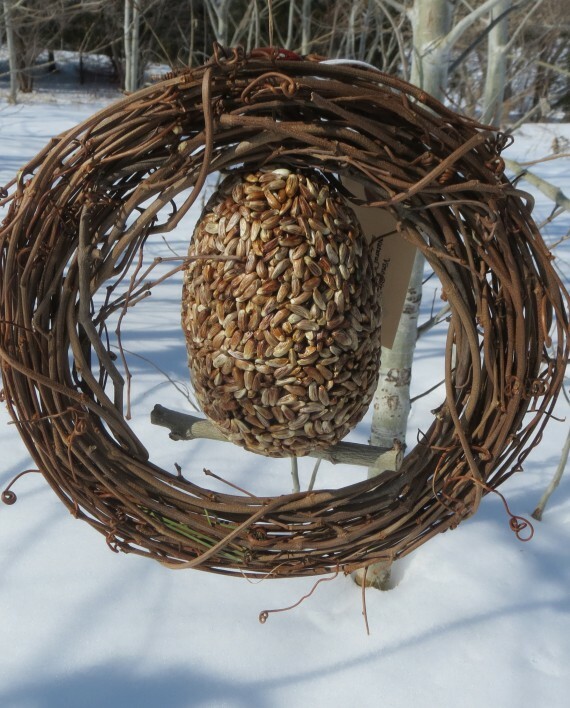 We love these bird feeders, and this one is pretty when it’s done…you can use the little wreath for decor! I’ve been buying these for about 4 years. They make fantastic little gifts.